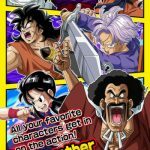 Dragon Ball Z: Dokkan Battle is the latest chapter in the Dragon Ball Z saga, at least as far as iOS devices are concerned. 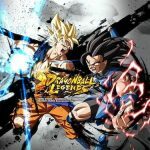 Leading a team of heroes, you get to face some of the toughest enemies on the popular Dragon Ball Z anime series, take part in board game-inspired gameplay and mechanics, and make use of items and power-ups as you build your team and get them ready for the battles to come. According to the developer, the fighting in this game is so extreme “your screen won’t be able to handle it”- an interesting way to put it, indeed! 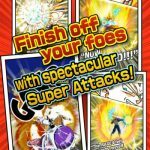 However, newer players may not be able to handle some of this game’s more intricate details, which is why we’ve put together an extended list of Dragon Ball Z: Dokkan Battle cheats, tips and hints. These may help you along the way, so do read on for some helpful advice. When playing in Adventure Mode, be sure to land exactly on top of where you want to be on the board. That’s the only way you can activate certain events. Conversely, if you don’t want to activate an event (e.g. red spaces), you can land AWAY from those spaces on the board. It’s as simple as that. All in all, there are five types of fighters in Dragon Ball Z: Dokkan Battle, and you have six slots for fighters on your team. This means you should have one of each type, and for the sixth spot, it’ll all be up to you, just as long as every fighter type is represented on your team. Looking at your board, you’ll notice that enemies that do not have a red stop sign on their place on the board are passable. You can skip them provided that you don’t land on them. Fair enough, and less stress for you as a player. But then again, you may want to actually take on every enemy you see, as that’s going to give you more zeni, and likewise earn your fighters more experience points. Sometimes, you may not have enough spheres of the same type of ki in order for you to make a charge and make an impact while at it. You need not worry, though, as you have the option of going for a ki burst. If you have the same type of ki sphere in the same row, you can execute a burst, which would put your fighter in better position for a future charge. It’s not the same thing as a charge, but a good enough consolation. If you know you’ve got an edge over the enemy with the fighter you’re using, you shouldn’t get complacent – defense is very important! The moment you see your enemy getting ready to attack, you’ll want to have another fighter line up in front, serving as a “tank” and absorbing damage. 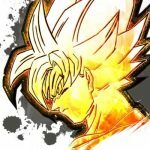 Need more Dragon Ball Z: Dokkan Battle tips? Check out our compilation of hints and tricks on how to build the ultimate team of fighters in the game.